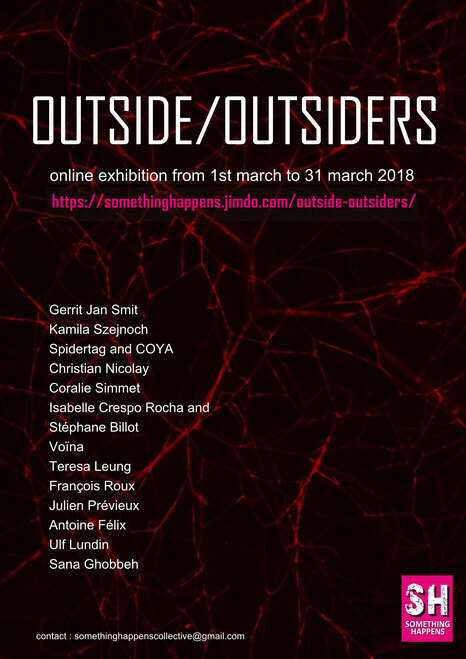 The 03 of May 2018, the program Otside/Outsiders will be broadcasted at the Cinémathèque of Grenoble, France. "Sometimes doing something poetic can become political and sometimes doing something political can become poetic." 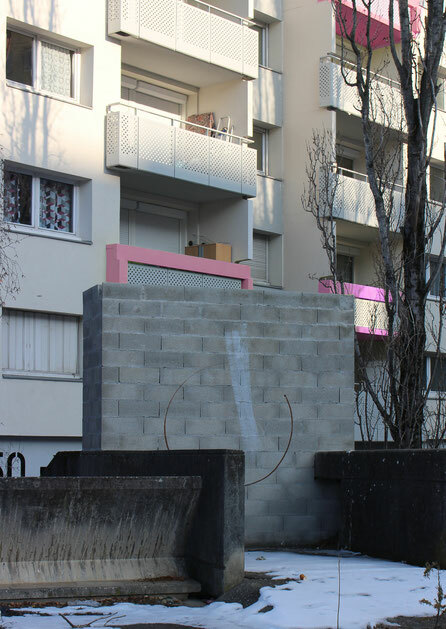 How a «deviant » behavior can interrogates/reveals/changes public/urban spaces ? This interrogation is the basis for Something Happens collective to elaborate a program for the year 2018. Its aim is to promote a large variety of practices and points of view of artists from all over the world through the video medium. 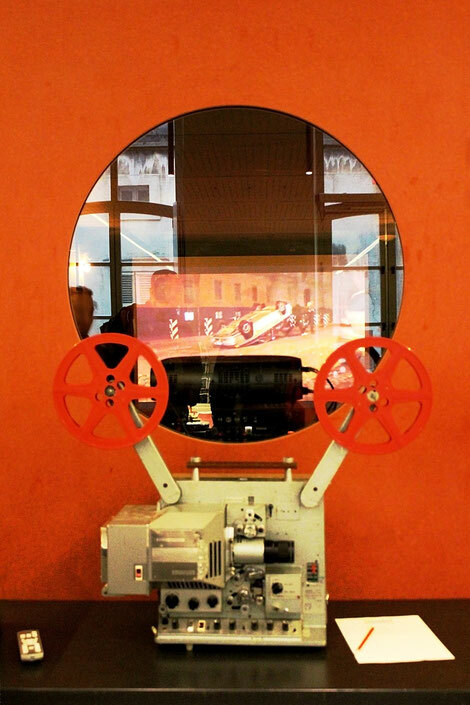 We are mainly interested in short videos about actions in a urban context but the selection is also opened to video recordings of urban phenomena (experimental or/and documentary). The selected videos will be visible on Something Happens website during from 01 to 31 march 2018 for an online exhibition. 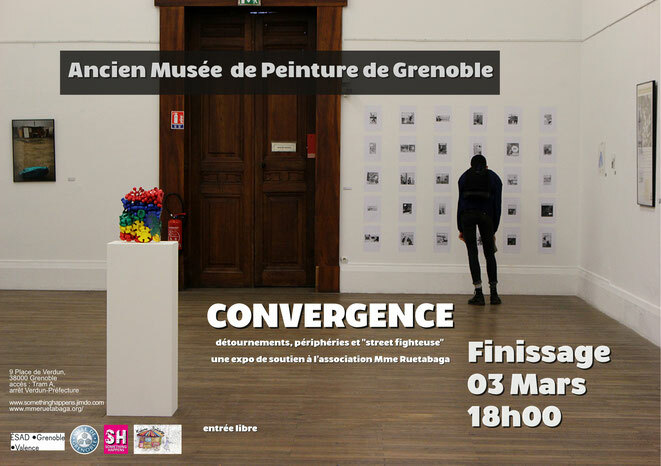 The event will continue in May 2018 in different places in France (institutional and alternative places in Grenoble and Lyon). The selected videos will be also screened on different buildings in different cities during the year 2018. If your work is selected, you will had to send us your video in a good quality size and in MP4 video file format (H264 compression), a synopsis, a short CV and one or several images (jpg format, 300 dpi). Works submitted in languages other than English or French must be subtitled in English. 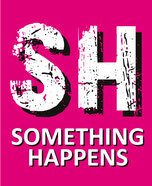 The results will be on the Something Happens website from 25 february. Selected artists will be informed by email. 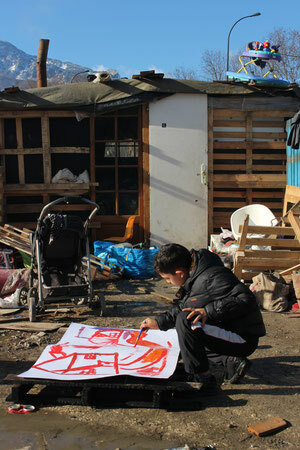 The "Mme Ruetabaga" association operates in ghettos as well as the Roma slums in the urban area of Grenoble (France). It sets up friendly and artistic creative workshops such as cooking, gardening, literacy courses, ensures their rights are protected and much more. The Mme Ruetabaga organization has been hosting these free street workshops, for everyone, year round for more than 2 years. Visual artists regularly come to offer multidisciplinary workshops involving an intercultural and intergenerational audience. The association also works to develop the empowerment of the inhabitants of these neighborhoods and underprivileged areas. Despite the institutional recognition of the educational work of the organization for children, teenagers and adults living on the street, the association is constantly challenged by a lack of funding. Therefore, in order to guarantee independence and to respect the quality charter of the association, we’ll have an art exhibition to raise funding, as well as regularly organize events with concerts and film screening to ensure that the organization continues to function properly. This won't be a matter of "charity" from the artists but a chance to participate in a real political experiment in a social and artistic field. The point of the exhibition is to provide a quality artistic exposition, combining works by renowned artists as well as creations made by children and teenagers involved in the street workshops. 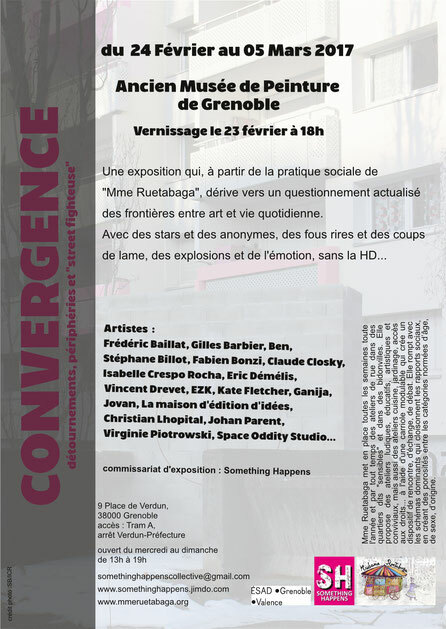 The exhibition will be supervised by two visual artists and a curator. We invite you to participate by offering your works, of any medium but in small format, so that this human, artistic and social adventure continues and thrives in our neighborhoods, places of life and cultural venues. 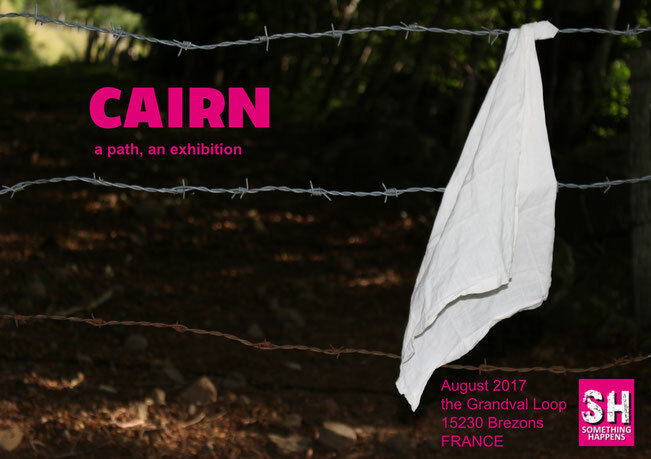 The exhibition will take place from the 24th of February 2017 to the 05th of March 2017 at the Old Painting Museum (ancien musée de peinture) in Grenoble, France, a prestigious location housing the Christmas Exhibition of the CNAC (Centre National d'Art Contemporain : National Center of Contemporary Art). The artist provides one or more of his works for the exhibition and waives a part of his rights on the given creation (50% at least). If his work isn’t sold during the fundraiser, it will be returned to the artist. The association and the organizers can refuse any proposal without having to provide any justification. A part of the transport costs can be paid by the Mme Ruetabaga association. The works in small format (photographs, drawings, paintings, books...) will nevertheless be preferred for the sake of affordability. 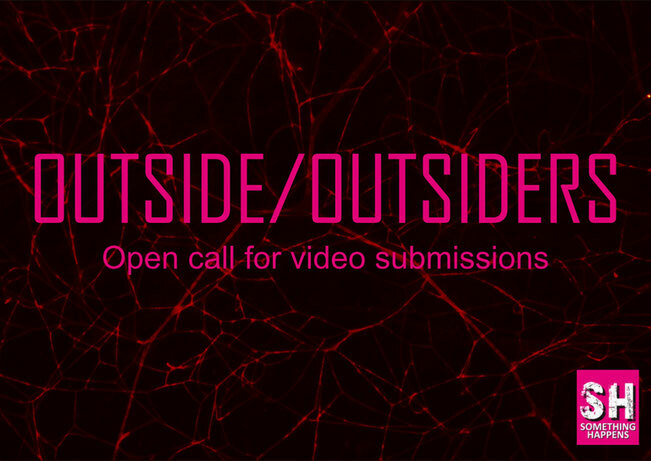 Videos (10 min max) which deals with urban problematics (public spaces, urbanism, gentrification...) will be accepted too. The presence of the artist at the opening is encouraged but not required. The closing date for an application is the 31st of December 2016. The registration application must include one or more visuals about the proposed creation, as well as a resumé and a short bio. 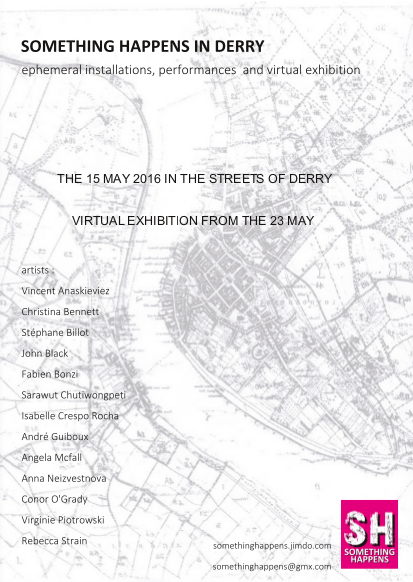 The event takes place in the city of Derry in Northern Ireland on the 15th May. This city symbolises a part of Northern Ireland History (tragic event like the « Bloody Sunday ») but it is also a place which is in a mutation process, different times exist under the city walls of Derry, built in the 17th century. The purpose is to promote actions in public space, mainly connected with the soul of different places. The event deals with memory and future, past and present, History and stories. The event will consist of several pieces, performances or ephemeral installations in public space. 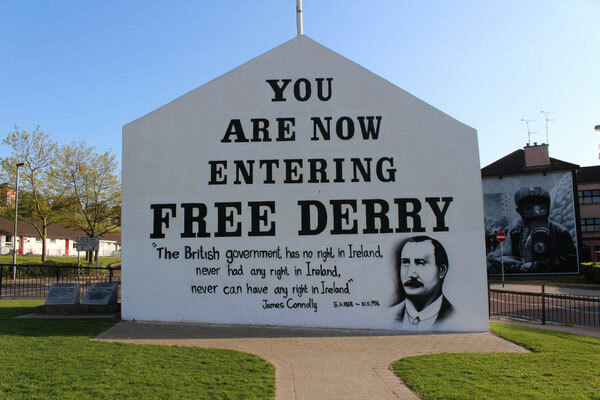 The event will mainly take place in the bogside and on the city walls of Derry. Anyway artists who will not be present can send their proposal (drawing, project proposal, video performance, photograph,...). All the selected pieces will be published on the official website after the event. Selected artists will be informed by May 5th.